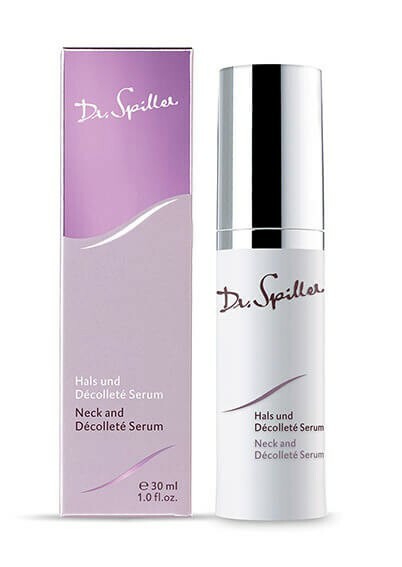 Neck and Décolleté Serum is a deep-acting skin care serum that firms the tissue and lastingly tightens and enhances the décolleté with Kigelia Africana. At the same time, Aloe Vera Leaf Juice infuses the skin with many precious nutrients for wonderfully firm skin and a perfectly refined, tight décolleté. Apply Neck and Décolleté Serum morning and evening after cleansing and follow with Neck and Décolleté Cream.